When is the best time to visit México? Thinking of visiting Mexico and not sure when is the best time for you? From our experience, there are three main factors that will help you make the best decision. The climate, whether you want to holiday with crowds of tourists, and the many colourful festivities celebrated. Good news is that in terms of the weather, there really isn’t a really a bad time of year to visit. Although you may think of Mexico as all hot weather, it is so big it spans multiple climate zones. The overall temperature at sea level is warm all year round, but in the mountains it’s another story. Take for example, Nevado de Toluca or the magical town of Real de Catorce. They can get very cold in autumn and even snowy in winter. The best time to visit a Mexican beach? 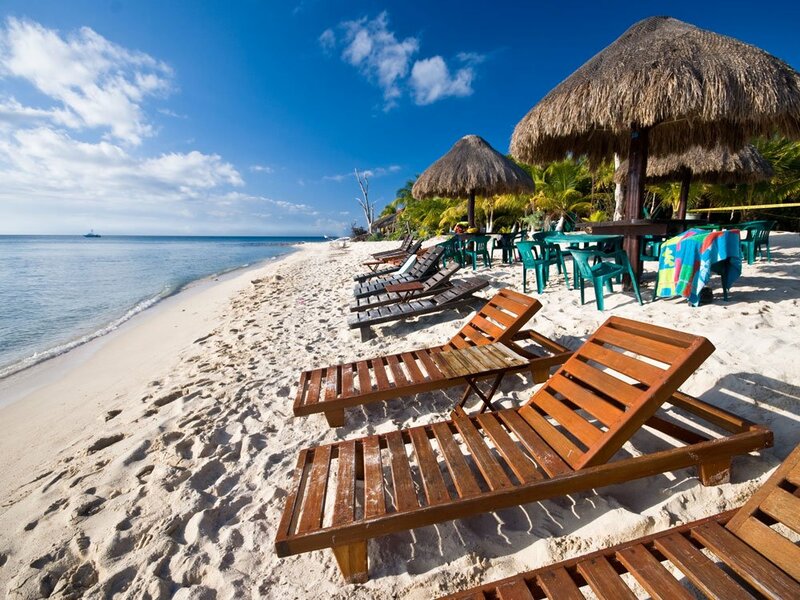 Mexico is well known for its impressive pyramids, but is a popular destination due to its pristine beaches. The weather at sea level tends to be warm throughout the whole year. You must keep in mind that the rainy and hurricane seasons can really have an impact on your holiday. This is especially true from June to October in Central and South East Mexico. Therefore, the best time to visit a Mexican beach is from November to March. It isn’t as hot, but still sunny and warm enough to get a tan without suffocating from the heat and humidity. The downside of going from November to March? It is considered a high-season, which means that lodging and other travelling activities are usually more expensive. It also means there’s bigger tourist crowds. If you do not want to take a risk with the rain, you can always head towards the Baja Península. It tends to be dry all year round, but it is also more expensive and a bit isolated from the rest of Mexico. If the beach is not your scene, you can always plan your vacation around Mexico’s more interesting cities. In Central Mexico, in cities such as Mexico City, Puebla, Cuernavaca, and Querétaro, the weather tends to be pretty warm from mid-January until October. It does go from cool to very cold from mid-October until mid-January. However, if you head North to cities such as Guadalajara, Monterrey and Chihuahua, the temperature tends to be very dry and hot. The only variation is in winter during the evenings and early mornings, when there can be very cold temperatures. There are many events that could make your trip to Mexico more special. Here are some cultural events and festivities that we recommend. They might help you to decide when is the best time to go to Mexico! The Three Wise Men day: It marks the end of the Christmas and New Year’s celebrations. It is usually composed of Rosca de Reyes a bread eaten with family and friends on the 6th of January. Monarch butterflies sanctuaries: After the winter, more than 100 million monarch butterflies make their way out of Mexico. You can experience this spectacular event in the Central region of the country. 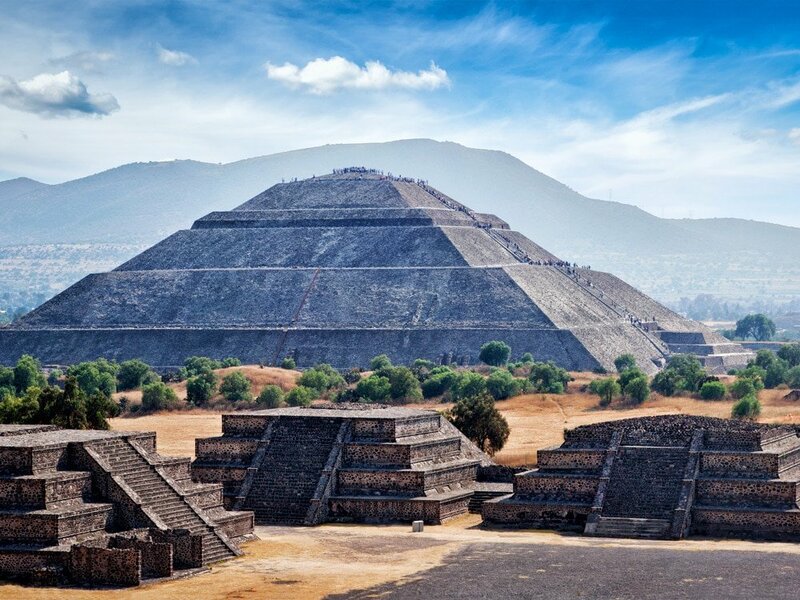 Spring equinox: Thousands of locals and visitors dressed in white gather at the Teotihuacan Pyramids and Chichén Itzá to welcome the spring equinox. Vive Latino Festival: The best of the Mexican and Latin American rock music scene perform at Vive Latino Festival. It is one of the most important music festivals of Latin America. Puerto Escondido Challenge: The Oaxacan coast hosts the country’s biggest surf competition due to its ideal tide, good weather, and laid-back local vibes. Guelaguetza: Oaxaca’s biggest celebration gathers its seven regions towards its capital with parades, folkloric dances, and fairs that display its local gastronomic scene. Feria de Huamantla: Tlaxcala’s most colourful fair displays a set of music events and the best of its local and regional food scene. Mexico’s Independence Day: If big parties are your thing then September is the best time to go to Mexico! Each year the whole of Mexico celebrates its independence from the Spanish colonial regime. Seasonal dishes and drinks are available from the beginning of the month. On the 15th September, the whole country parties all night long. Cervantino Festival: Guanajuato’s most important cultural event takes place for about a week celebrating Mexican film, music, and gastronomy. Festival Internacional de Cine de Morelia: Mexico’s most important film festival. It displays the best local, Latin American, and international cinematic projects, premieres, and events. Corona Capital Festival: Held each year during November, this music festival showcases the best of local and international Indie artists. It attracts more than 100,000 local and international visitors each year. Day of the Dead: Mexico’s most well-known celebration, Day of the Dead, is probably the event with the most symbolic importance. Each year, during the first two days of November, millions of Mexican families set up colourful altars for their dead ones, decorate the cemeteries with flowers, and spend the night there, with the belief that the dead come back for one night to the world of the living to spend some time with their loved ones. Posadas: During the last month of the year, thousands of families hold the Posadas tradition. Family and friends gather with food and piñatas to mark the end of the year’s holidays. We hope this has helped you to decide when is the best time to visit Mexico! Also check out our other blog posts: the Best Places to Visit in México and Best Restaurants in Mexico.